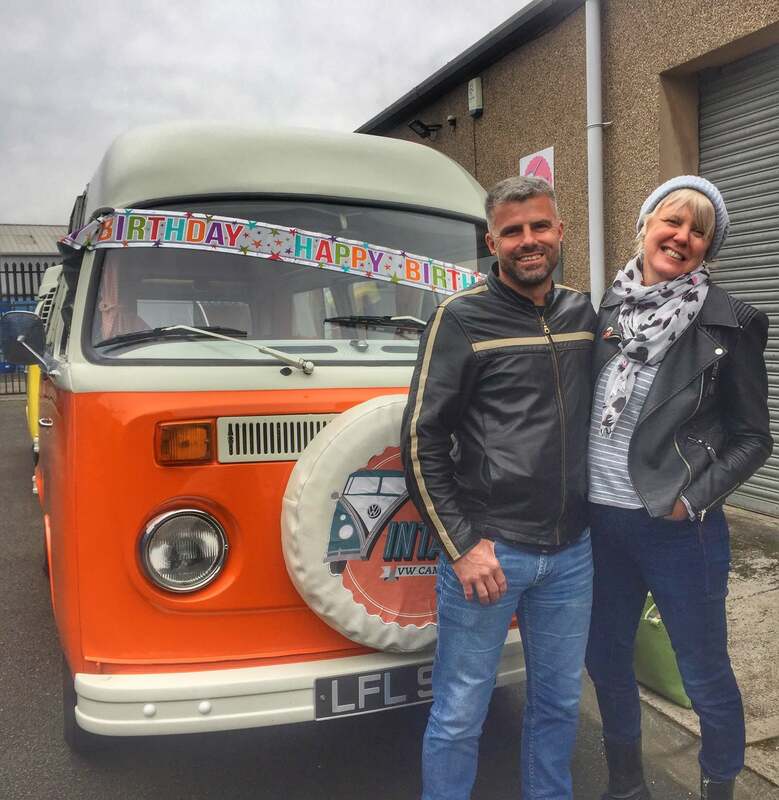 We have campervans turning 40 & 50 years old in 2019 & we know you love treating your loved ones to Vintage VW Campers Adventures, for special birthdays. That's why we thought you may want to match the campervan to the birthday? So for example, if your loved one is turning 40 in 2019, we can't think of a better gift than a holiday in Blondie. On 5.10.19 it is 40 years since her first registration. 1979 was a great year, do you know someone born in this year, who you love enough to gift a bucketlist roadtrip in Blondie to? Or perhaps 1969, was more your beloved's era? Well as Oor Wullie turns 50 on 5.8.19, he could be the perfect gift for your quintastic nearest and dearest. We are offering holidays in Oor Wullie throughout his 50th year and towards the end of 2019 if one of our Guests wishes to buy him, we will consider offers. A true opportunity to try before you buy, a slice of motoring and cultural history. To celebrate the 2019 significant birthdays we are running a competition, starting now for everybody turning 40 & 50 years old in 2019. One of you will win a free two night break away in one of our campervans. To be in with a chance of winning, you need to comment on our Facebook post (or you can email us) telling us your year of birth and tagging/telling us who you would like to take with you. In March 2019, we will draw one lucky name out of the hat and announce the winner. Company celebrating 40 or 50 years in business in 2019? As our campervans are also used for businesses running promotional campaigns & team competitions, we are offering one business, turning either 40 or 50 in 2019 a free 2 night hire. The business can either choose to gift this to perhaps a high performing employee, or use the vehicle for a promotional campaign. 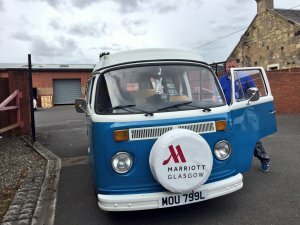 To enter your business into the competition, you just need to tell us on our Linkedin post (or by email) what year you started trading and how you'd like to use our campervan to help you celebrate the milestone. I couldn't possibly write this post without telling you about two other very special 50th's we will be celebrating in 2019. 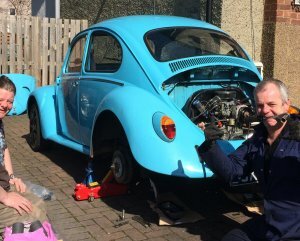 Both our mechanic, Davie Jardine, of Solway Campers and my partner Richie are turning 50 in 2019. One thing's for sure it's going to be an epic year. Things I should have mentioned but haven't yet: all drivers and your ideas for business- use are subject to meeting our insurance criteria and as we check drivers' licenses, we will know if you're being truthful about your age! You can buy someone Gift Vouchers, or book them a campervan holiday anytime you like, if they subsequently win the competition, we will pay for the two nights. Good luck and here's to a phenomenal 2019 for all of us!